This entry was posted in GJPD News, The Insider on The GJPD Patrol. 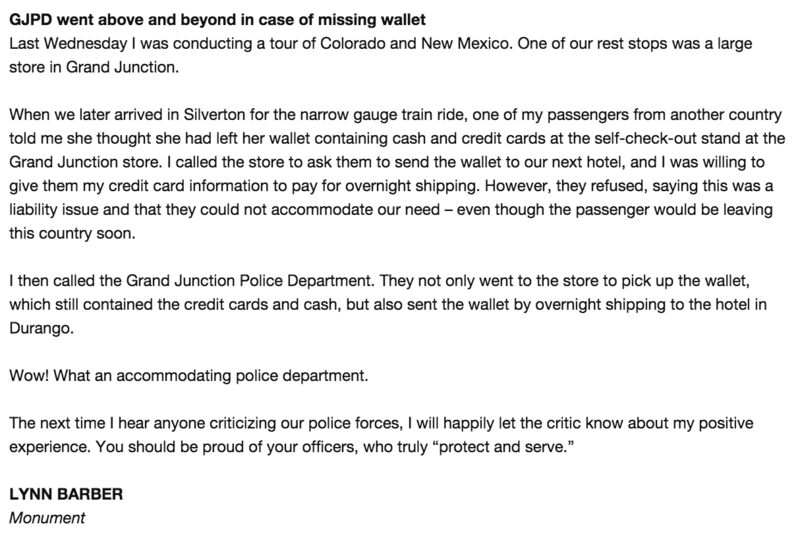 i’ve seen gjpd officers do similar acts of kindness for people frequently over my last 14 years here. way to go, folks!